On several recent flights, I had been making a point of landing at new airports. I continued this trend by landing at Akron (9G3), just 24 miles west of Le Roy. After visiting at Akron for a bit, I departed to do some airwork. Along the way, I became intrigued by low clouds over Letchworth and took a couple of photos. 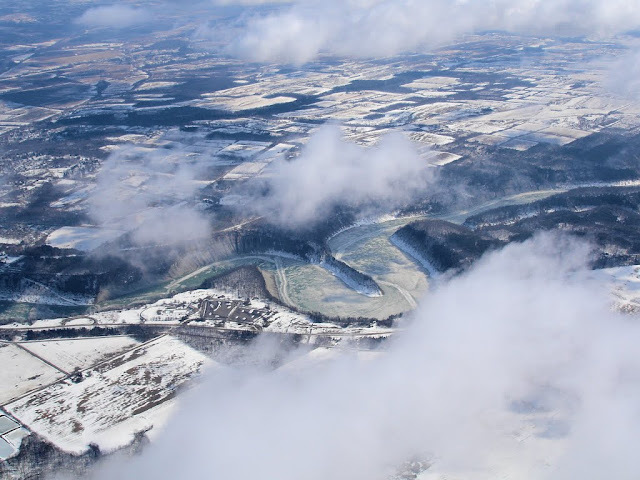 The Genesee River meandering through the northern part of Letchworth State Park. Anyone who has spent time on my website knows that I have a thing for ground features framed by clouds. 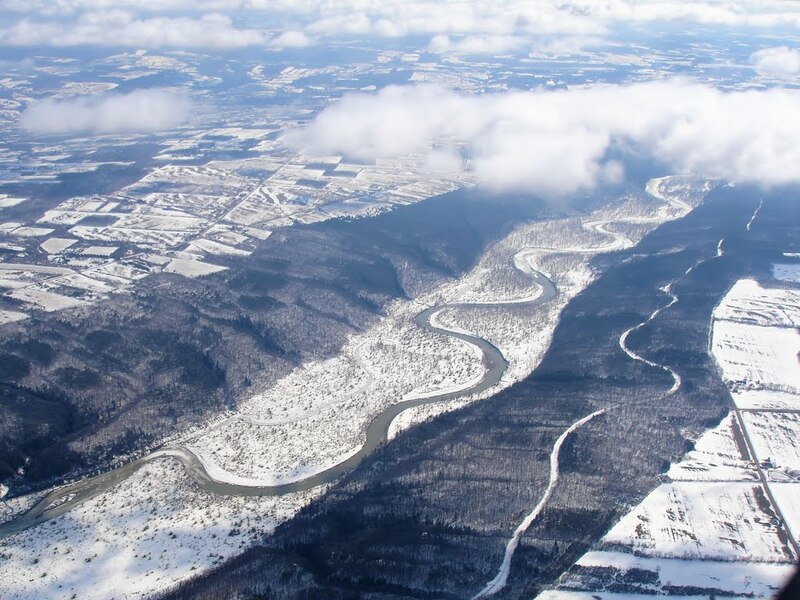 Here's a great example of an oxbow in the Genesee River near the north end of Letchworth State Park. After doing some airwork (stalls, steep turns, slow flight, yada yada yada), I landed at Dansville. On the ground at Dansville, NY. I had just logged my 500th flight hour. Statistically, this meant that I had become less likely to prang the airplane than just a week earlier. On the way into Dansville, there were three aircraft converging on the airport from different directions. This required some moderate negotiation on the radio, but presented no real difficulty. 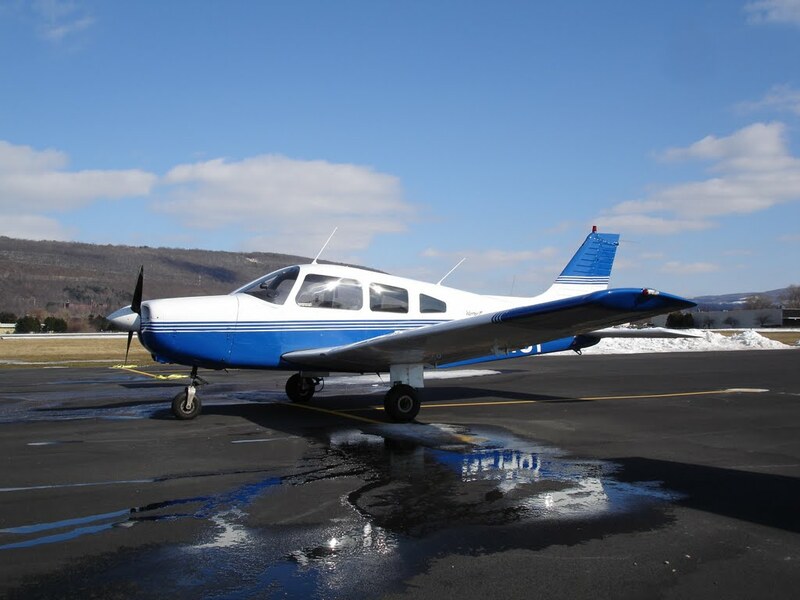 On the ground, I was admiring an N3N parked inside Dansville's large hangar when another pilot approached me and asked in a neutral tone if I had been flying the Warrior. "Yes..." I was a little uncertain on where this conversation was about to take me. "You have great radio presence! Do you instruct out of this airport?" "No," I blushed. "Just looking for a restroom." Only took me 500 hours, but I finally seem to have figured out how to use my radio. On my 500th hour (336 of them in N21481), my logbook indicated 1270 take offs and landings and 188 hours of cross country time. I had logged landings at 54 different airports and flown the Warrior as far north as Torchport, MI; as far east as Saranac Lake in the Adirondack mountains of New York; as far west as Guthrie, OK; and as far south as Fort Myers, FL.